How to remove stress? Some ways to remove the feelings of being stressed include nurturing the relationships you have, going on a yoga retreat and learning to let go. You need to manage different stressors for the prevention of the damaging effects of cortisol and for a healthy immune system. I believe you don't want any of the harmful effects cortisol can cause. Just changing your attitude or perspective on things or people is one of the steps to remove anxiety and worry. 1. Live One Day at a Time. Yes, live your life day-to-day. The wisdom in this tip is focusing on the present. If you find yourself stressing over the economic meltdown everyone is in right now, ask yourself if it has significantly changed the way you spend your day. I am pretty sure you still do plenty of the same things. Remove your thoughts on your situation. Focus on your routine because it will give you a sense of security and continuity even when things around you may seem to be falling apart. 2. Take Care of your relationships. Nurturing your relationships is probably the best step on how to remove stress. Spend time with a loved one, be it a family member or a friend. Being with someone you honestly and truly care for distracts you from a stressful situation. A relationship that really matters to you also will help to remind you of what's truly important, putting your anxiety in its proper place. Also, being surrounded with people who care for you like friends and family is scientifically proven to remove or prevent depression which is one of the effects of being overstressed. 3. Don't Make a Mountain Out of a Molehill. Everyone has his or her share of worry and encounters different types of stress everyday. It's part of life but not everyone makes a big deal of their worries. Taking everything too personally doesn't make anything better. How to remove stress? Acknowledge whatever it is that's stressing you out but don't expect it to become worse. Don't doubt your ability to cope with it if it does. Be confident that you can handle it. When I was a young mother years ago, I had my share of tantrums thrown by my kids. This was really hard especially when they happened after I got home from a stressful day at work. What helped me get through those days was my attitude of not seeing a mountain when it was just a small hill that was in front of me. What I did was hugged them and gave them my attention. I knew kids also got stressed. 4. Look for Solutions. Have you tried writing down what's making you anxious? If not yet, try it. Also, write down possible solutions and consequences in case you can't come up with any. Writing it down can help you develop skills to calmly look at a problem and find a remedy or an answer. It can also provide you with a new perspective. Try to solve everyday problems because doing so can give you a sense of control which helps remove your feeling of being stressed. Being capable of solving little problems builds the inner confidence to tackle life's bigger ones — and it can serve you well in times of stressful situations. 5. Understand What's Stressing You Out. Take the time to know where the worry or the anxiety is coming from. If you understand what the leading causes of stress are, you are able to respond and not just react. It's an effective way to remove feelings of being overwhelmed. 6. Go On A Yoga Retreat. A lot of people may think yoga is just another fad in our attempts to get fit. Well, it's not. It's actually one of the natural stress relievers. Yoga practice has been done for thousands of years. Yoga's beneficial effects on our nervous system (our brain and our nerves) are scientifically proven. Being stressed at work, at home or in life in general can be hard on your nervous system. That's why it's called a nervous breakdown. A yoga retreat will help calm you through proper breathing exercises and meditative movements. It will also teach you to take care of yourself. Also, help your body remove stress by making sure you eat enough of foods rich in vitamin c. If you find yourself stressed out constantly and eating more of unhealthy foods, make sure you take supplements like Ganoderma. 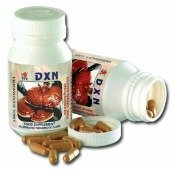 It is a mushroom found to strengthen your immune system. These 6 steps on how to remove stress are all simple, easy, practical and effective.